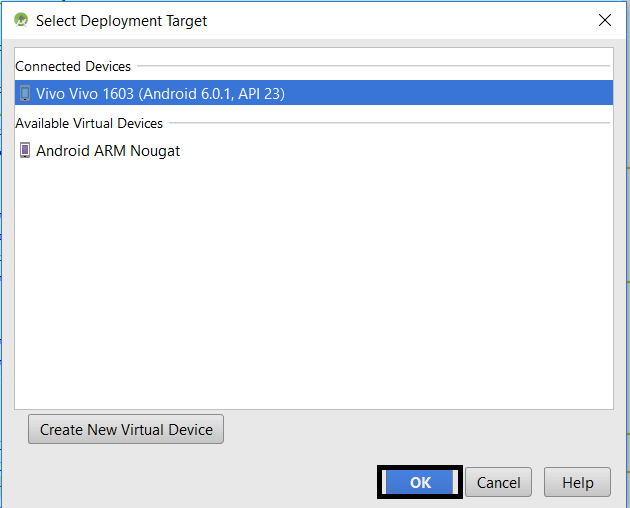 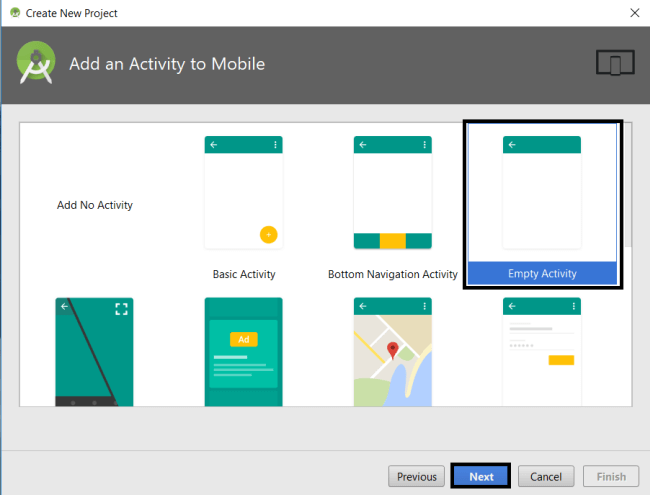 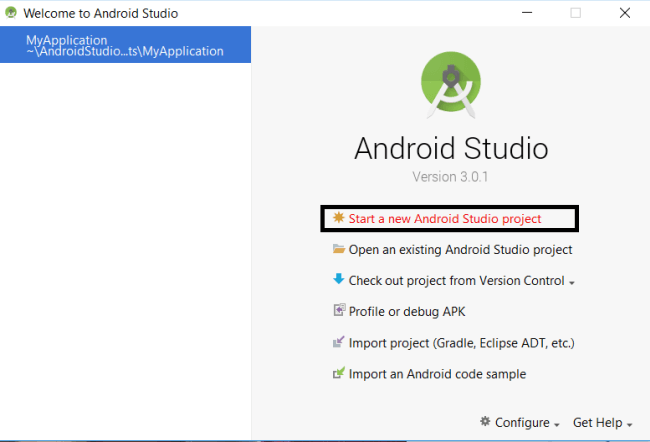 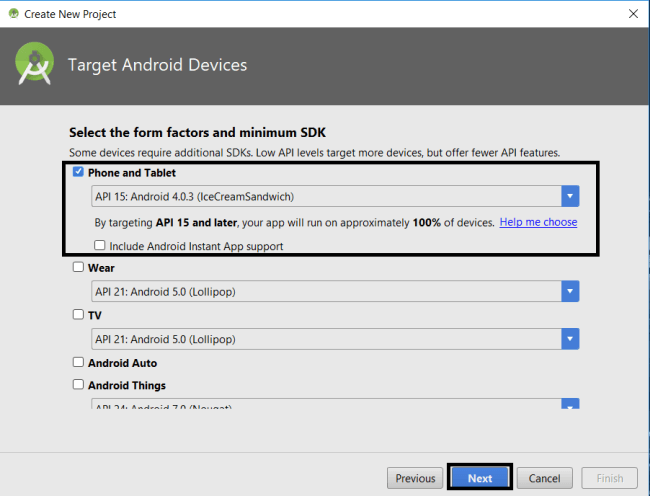 In this article, we are going to see how to create a share button in Android app using the Android Studio. 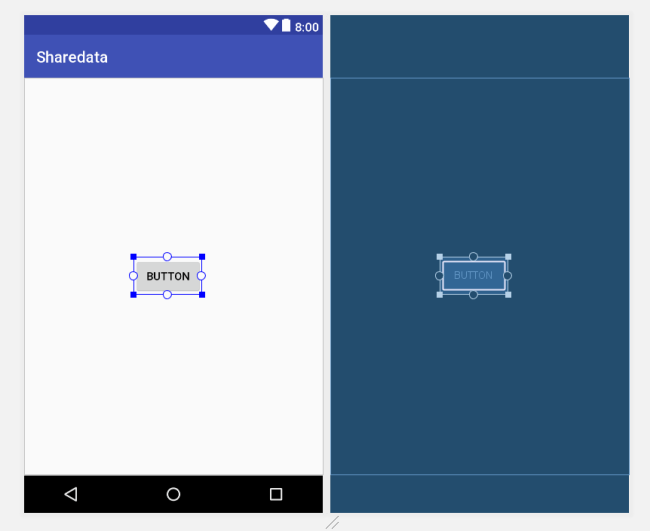 In this article, we are going to see how to create a share button in Android app using Android Studio. 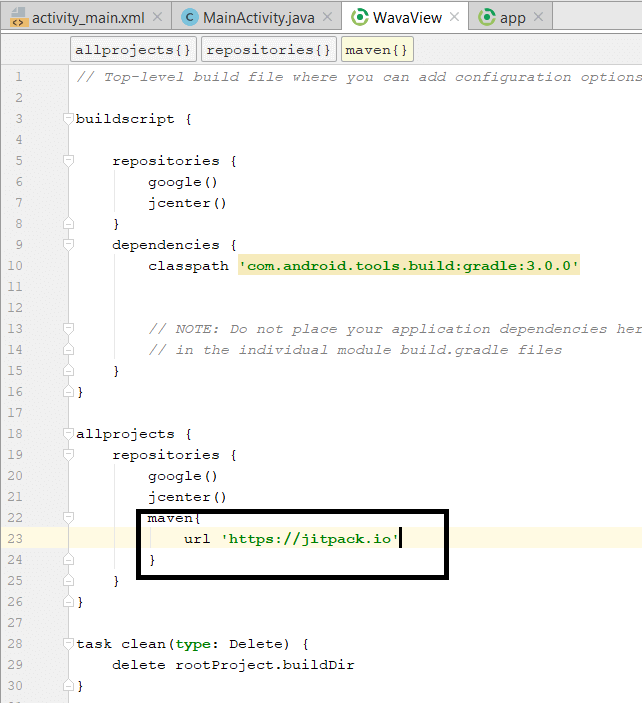 It is used to share the social links to any other sources in our mobile. 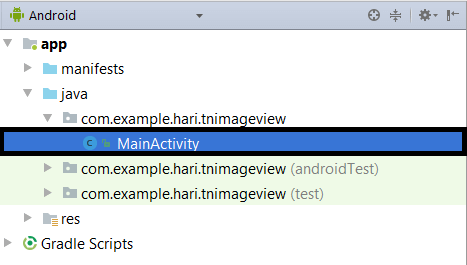 This link can be provided by us. 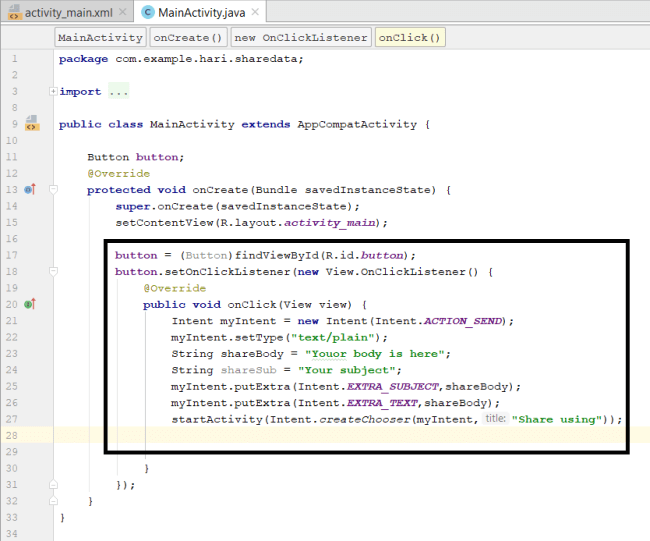 And just type the code as follows. 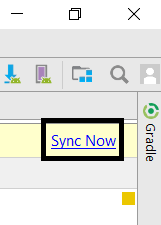 You have to provide your link in the 13th line inside sharebody. 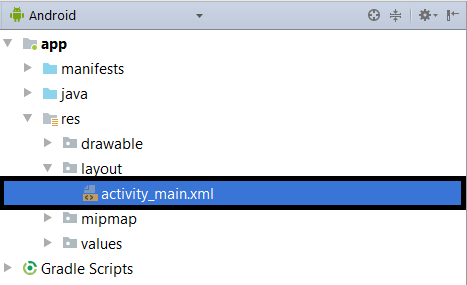 The source code provided in this article is just the dependencies of share option and the code used in activity_main.xml will make the button sharable and define its attributes. 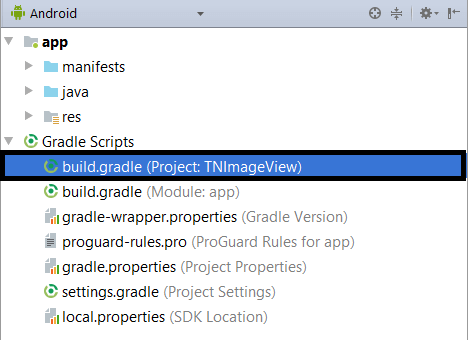 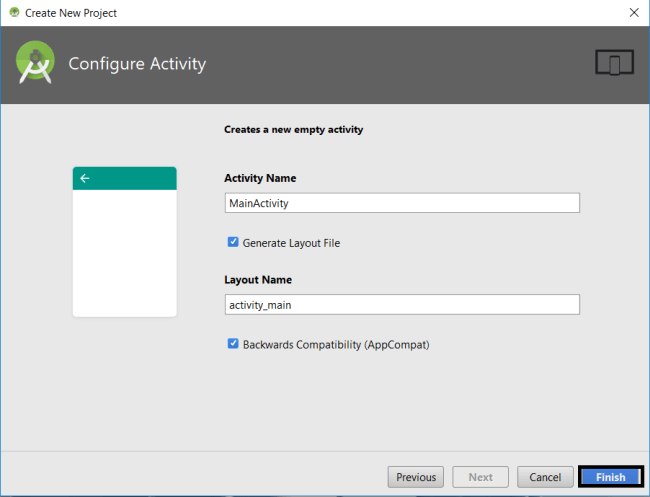 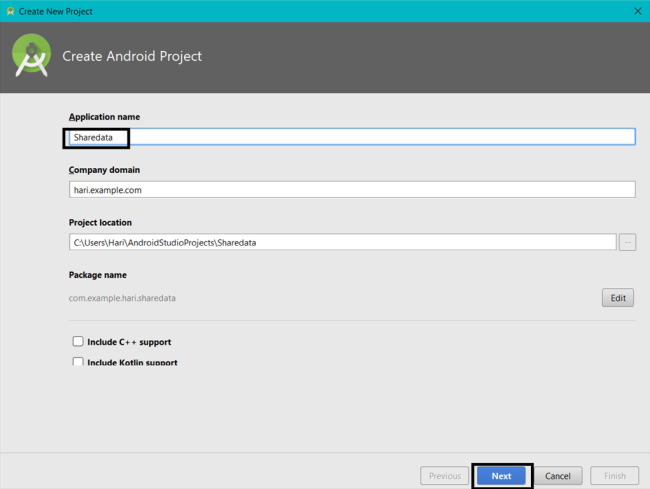 In this article we created the app named Share Data, then we have inserted a Gradle and we learned how to give a share option to the button and finally, we have deployed that as an output.